The ultimate goal of every blogger is to monetize his blog and maximize his earning in every possible way. Majority of bloggers start their blogging careers attributing only Google Adsense as their primary source of earning; nonetheless, only 30% of those are able to make it through, as Adsense has stringent policies and rules to preclude spam. The ones who are not successful in their Adsense attempt start looking for Adsense alternatives. 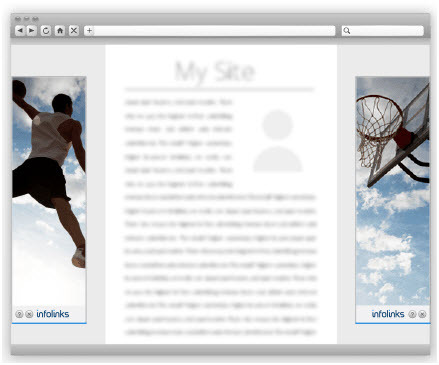 Here is the best Adsense alternative for all bloggers out there: Infolinks. Let’s find out everything about Infolinks right now. Infolinks was founded in the year 2007, and since then the organization has helped numerous publishers earn additional income from their blogs or websites. Most publishers are content with Infolinks in-text advertising ads and are utilizing it as a tremendous Google Adsense alternative. In fact, a number of publishers are now opting for Infolinks as they find it difficult to get their blogs approved in Google Adsense. Interestingly, Infolinks can be used on a website together with other renowned advertising networks including Chitika, Adbrite ads, and others. Infolinks is pretty simple; it doesn’t have any strict rules or policies for approval. You just require a good blog where there is good content, a decent number of articles, and some traffic. It is simply the best ad network that comes in highly handy for small blogs and new bloggers especially. It doesn’t need space because their ad units are designed in such a manner that they use the unused spaces. In addition, Infolinks has easy options for payment, which includes your PayPal account. And the threshold limit remains $50. The whole process is pretty easy as compared to Adsense in which you need to wait for a PIN. What Are The Different Smart Ad Units? This ad unit displays in the form of hyperlinks on every web page. The keywords on your content are hyperlinked with relevant ads automatically.The color of hyperlinked words is blue, and they are double underlined and 12 in total on a page by default. 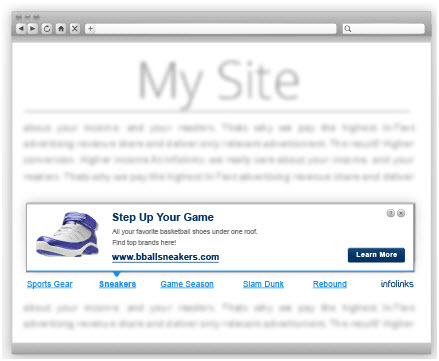 Besides, it is the most utilized Infolinks ad style and also the most lucrative one. 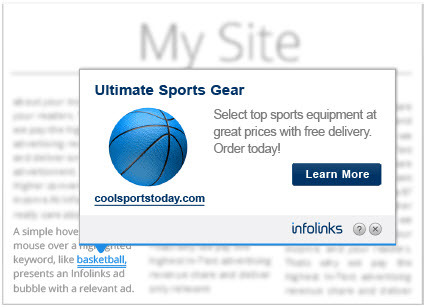 Furthermore, you can customize intext ad unit to receive enhanced click-through rates. For customization, you can change ad unit color and link color, and also you can select double or single underline and can limit the number of hyperlinks on every page. This ad unit displays either at the top or at the bottom of a page. 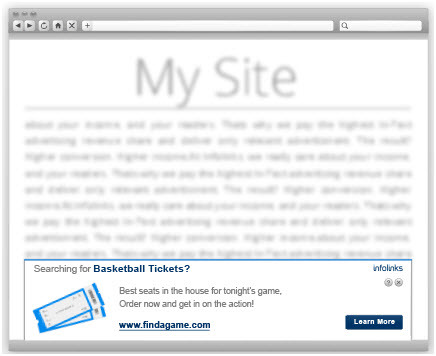 The ad type appears smartly without distracting the readers. You can customize in tag ads as well by changing the ad unit color, the link color, the placement, and you can choose either single underline or double underline. Infold ad unit displays a few seconds after you have opened a page; it emerges from the bottom. If you have a good readership, this ad unit is not appropriate for you as it can be a little bit distracting. However, in terms of generating revenue, it can be the best unit. This ad unit utilizes the spaces on the page that are unused. So, you earn money from those areas that are just left without being used. These ads can be a little distracting, so you can hide them if you want with the given options. This ad unit displays as a pop up on the full screen, and the background becomes dimmed till the pop-up stays on screen. You can control its display by customizing it. What is Infolinks Referral Program? Infolinks Referral Program is a way to get extra earning. How? Refer new publishers (bloggers) to Infolinks, and you are all set to earn 10% of their money (whatever they make) for first 12 months. I would recommend trying Infolinks, a great advertising platform—at least once to see the results yourself. You can even use it with Adsense without having an issue. Share your thoughts about this way of making income from blogs/Websites!